Three qualities that set this headset apart are the richness of sound, brilliant design and multi-platform utility. The virtual 7.1 surround sound is exceptionally high and very consistent in aspect. This headset filters the sound quality to achieve a crisp and distinct clarity that uplifts the entertainment experience. In general, its superior construction conveys a bold sense of elegance that inclines to the preferences of many fashionable users. Besides, the aesthetic appeal is quite conspicuous in all aspects. The merit of multi-platform utility makes this item very suitable for general entertainment. Depending on your fancy, you may choose to connect this device to your PC, play station, media centers, mobile devices, xbox, Mac, mobile devices and home theater equipment. The functional uniqueness of this headset shows in its capacity to prevent or circumvent the various kinds of interference that often compromise the general quality of performance. The following are some of its features in brief. You can get the feel of great quality sound from this item because of its powerful virtual 7.1 surround sound technology. The device was uniquely designed to amplify the subtle aspects of the sound without any interference. Great headsets are always known by their capacity to clarify the harmonics, pitch, and tone in a way that adds taste to the audio quality. The surround sound is generally pleasant to the ears and uplifts the spirits of the listener. The projection of the sound is equally profound. The makers of this device ensured that the ear cups are highly cushioned to optimize for comfort. Unlike some ear cups that will cause you some clamping discomfort, the pressure that your ears get from these ear cups is generally minimal and tends to ease after a short time as you get used to it. 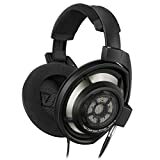 In fact, some users have recommended these headsets for people with sensitive earlobes because of the superior quality of cushioning that features on the ear cups. If your old mic ever inconvenienced you with its inflexibility, you will love the SteelSeries H Wireless as a superior replacement. This is because this mic is conveniently retractable and directional. You might need this kind of a mic if you want to enjoy using this headset in crammed or crowded spaces. The mic allows you greater comfort as you adjust it to suit your preferences. It might seem as though the designers wanted a new way to make headset entertainment much simpler and more convenient. Although the speakers of the SteelSeries H Wireless may not be the very best, they certainly outshine many ordinary speakers that tend to malfunction easily. The innovative designers of this headset ensured that it hits the market with reliable speaker drivers that manifest a pioneering touch of quality assurance. One might understandably argue that the most inspiring feature on this headset is the quality of the speakers. The inclusion of the next generational speaker drivers explains the enhanced clarity of sound. In the opinion of many customers, the advantage of multi-platform versatility remains one of greatest winning strengths of the H Wireless headsets. In many ways, these headsets were designed to nourish the appetite of the fashionable users who want to switch from one type of wireless entertainment to another without compromising on the quality of sound. Some of the platforms that you might think of include home theater equipment, PC, Mac, xbox and play stations. You cannot think of a top-ranking headset without considering its measure of durability. The manufacturers of this product deployed a great extent of their ingenuity to use parts that are reinforced against mechanical shocks and impact. Remember that you may want to use it in crowded areas, buses and outdoor settings where the threat of impact is ever present. The reinforcement is meant to guarantee its durability and capacity to withstand impact. Q. What are the product dimensions of the SteelSeries H Wireless? Q. What kind of batteries are required for this headset? A. It runs on 1 Lithium ion battery, which is included. Q. What color is this device? 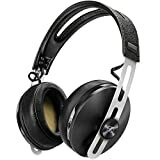 After 401 customer reviews, the H Wireless is rated 4.0 stars on Amazon.com. Predominantly, the product earned top ratings from customers who liked the quality of its surround sound system. According to some of them, this quality made this device suitable for extended gaming sessions. Other endorsers expressed their satisfaction in the aspect of versatility and the superior enhancements on the ear cup controls. The comfortable cushioning of the ear cups also attracted praises. Some reviewers felt that this headset was by far more superior to many that they have known and used previously. The brilliant design of the headset also earned it positive recognition from a section of customers. However, the headset was rated low by some reviewers who wanted it in more colors than black. Overall, the reviewers felt that the H Wireless is a high-quality device, and one that is fairly priced. Overall, the H Wireless produces rich quality of sound, which adds to the general satisfaction of a long gaming experience. It is exceptionally versatile and designed to offer great entertainment across multiple platforms. This is a device that will uplift the quality of fun for many play station lovers. There is no doubt that it is quite stylish and fashionable. It gives its lovers the full advantage of unlimited play time. This premium wireless gaming headset is highly recommended for whoever holds an enduring passion for the play station.